We are the Mindful Teens of Insight Meditation Center in Redwood City, CA! In a typical session, we do a guided meditation (it's very okay to move if you need to during meditation at our center), discuss issues that are alive and rich to us (typically around relationships with friends/family, stress, intentions, etc.) and in general have some fun with life. We meet every two weeks - the first and third Sundays of every month. We want the environment be a free space where you cultivate your own wisdom and happiness, and can bounce ideas off other like-minded people. We like to do what is of interest to whoever is attending - many Teens (age: 13 to 19) wish to learn more about meditation and stress reduction. Great! We do this with basic mindfulness, meditation, empathy, compassion, and understanding...and humor :) Others Teens are much more interested in self-exploration and whatever that looks like for them. Great! And some Teens just want to make friends with similar interests. It's all held in a supportive and safe container. The girl:guy ratio is about 50:50 and typically there are 10-15 Teens each gathering. We are committed to creating a space and group (a sangha) that is welcoming and supportive to Teens of all identities - interests, philosophies, race, genders, and orientations. -Vy, Gregor, Aaron, Nirali, & the Teens. 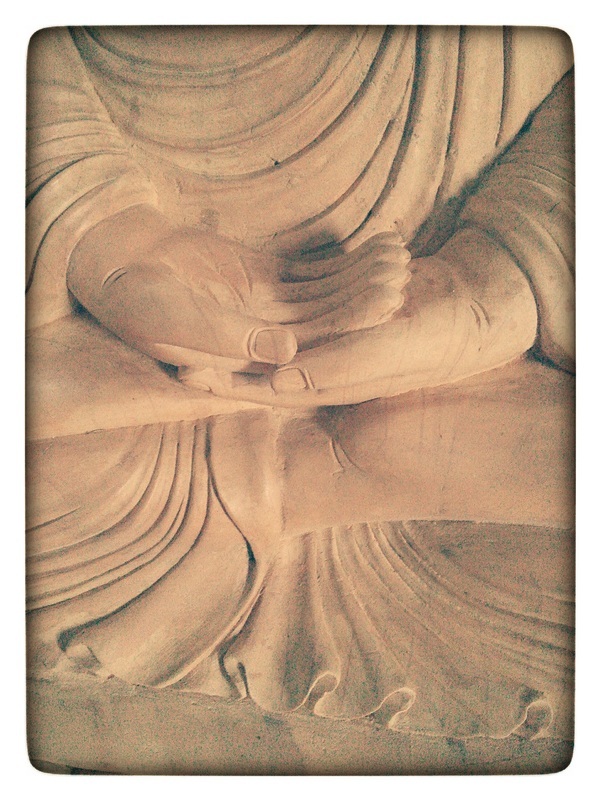 Hands of Buddha statue at IRC. Trying super hard to make a serious face.